・　The reactors continue to be a radiation hazard as further catastrophes could occur at any time. Every day adds more radioactive contamination to the ocean, air and soil. Enormous amounts of radioactive waste are stored on the premises of the power plant in the open air. Should there be another earthquake, these would pose a grave danger to the population and the environment. The nuclear catastrophe continues today. Every day adds more radioactive contamination to the ocean, air and soil. Enormous amounts of radioactive waste are stored on the premises of the power plant in the open air. International regulations limit the permitted dose for the general public of additional radiation following a nuclear accident to 1 mSv per year. In areas where evacuation orders were recently lifted, the returning population will be exposed to levels up to 20 mSv per year. Even places that have undergone extensive decontamination efforts could be recontaminated at any time by unfavourable weather conditions, as mountains and forests serve as a continuous depot for radioactive particles. According to official Japanese government estimates, the Olympic Games will cost more than the equivalent of 12 billion Euros. At the same time, the Japanese government is threatening to cut support to all evacuees who are unwilling to return to the region. 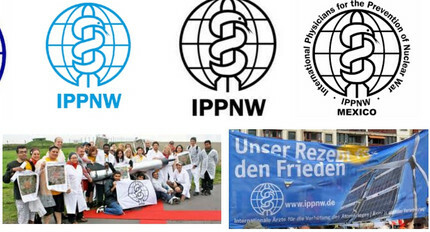 〔★は大沼〕◎　IPPNW launches a campaign about the "Radioactive Olympics"